Tie your shoes and get ready to travel. When it starts getting warmer out, people begin to plan their beach trip or an adventure trip. Notably, high school and college students get super excited about it since they are the ones who deserve a peaceful break. Technology and adventure are a massive part of the life of modern youth. Thus, these are top 6 highly recommended hikes for Spring break. 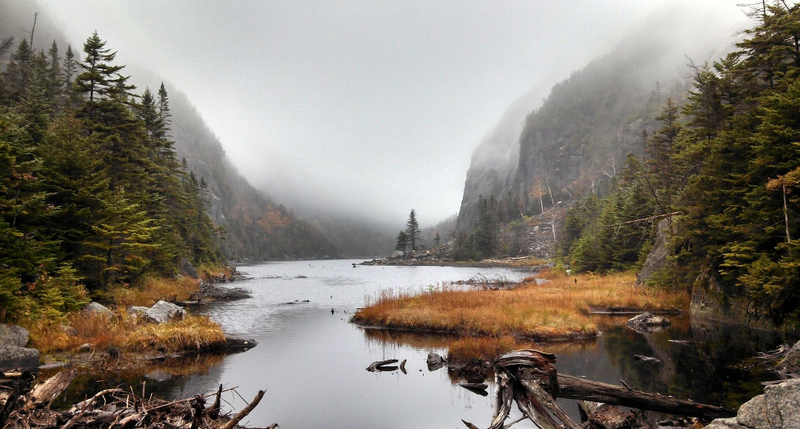 Avalanche Pass Trail is about six and half hours from New Jersey located in upstate New York. Avalanche Pass trail is a loop, 13.4 miles long with an elevation of 2864 ft. Honestly speaking, it honestly looks like heaven. My friends and I thought it was indeed challenging, but doable. Steep climbing from the Lake Colden to the peak is an excellent cardio exercise and also requires a considerable measure of concentration every further step you take. However, the gorgeous overlook from the summit is definitely worth the effort. The Hawk Rock hike is about three hours from New Jersey and located near Hershey Park, Pennsylvania. 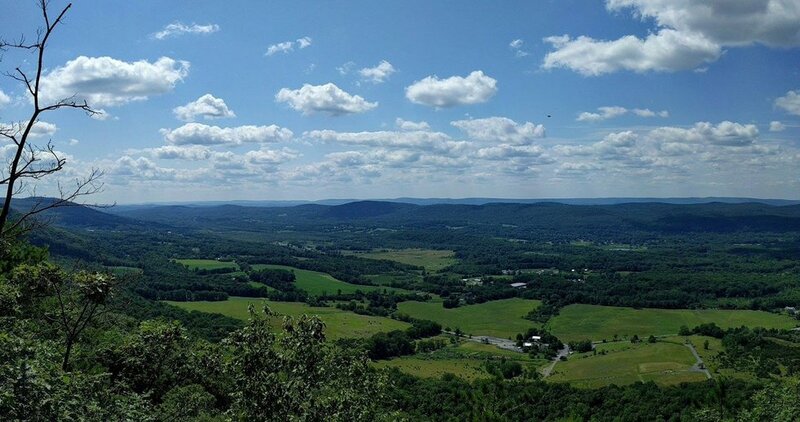 Since Hawk Rock Overlook hike is a part of the Appalachian trail, you may continue further exploration once you reach the peak or you can come back through the same path. 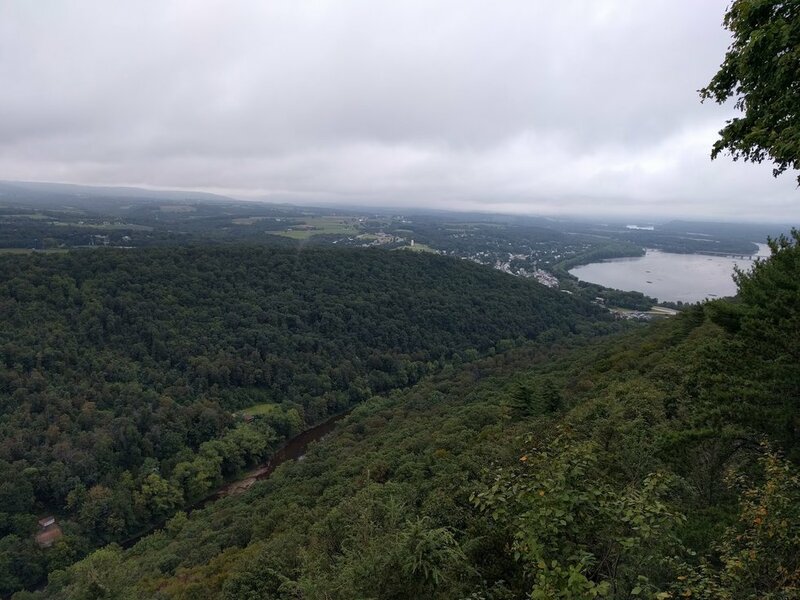 Hawk Rock is out and back, 1.6 miles long with an elevation of 685 ft.
You are probably going to find plenty of people during favorite season or weekends since it's closer to Hershey Park. It has a steep and rocky part somewhere in the middle of the hike, but you will be alright. Although it’s the rockiest trail I have ever seen, the spectacular overlook is breathtaking. Don’t get super excited! It is not an original stairway to heaven. Stairway to Heaven trail is about two and half hours from New Jersey and is located around Wawayanda State Park, NJ. It is out and back, 2.9 miles long with an elevation of 892 ft. When you start walking on the trail, make sure your path is okay to walk on, instead of climbing on rocks because it’s little confusing. If you love to climb rocks, you will get an opportunity to do so for a while, but you should be very careful since it’s notably steep. Don’t be surprised if you find steps made out of rocks. I want to tell you that you will appreciate this hike if you like taking selfies. You will be amazed at the view. 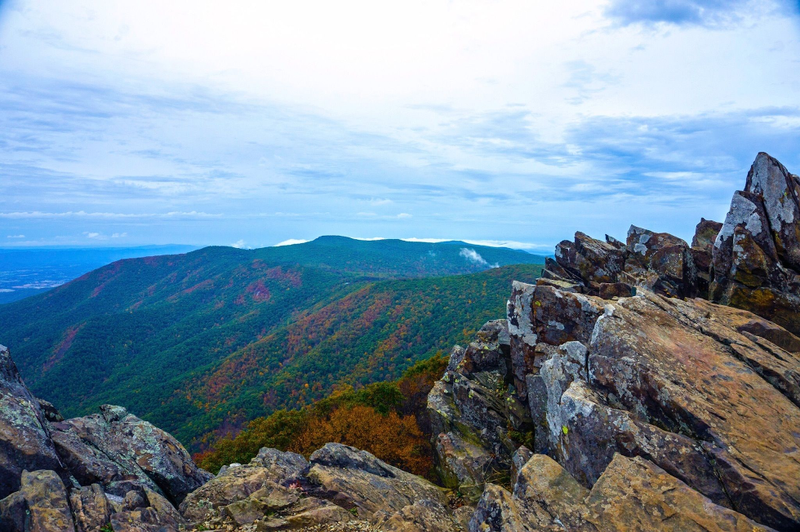 Upper Hawksbill trail is about five hours from New Jersey and located in Robertson, Virginia. Upper Hawksbill trail is out and back, 2.2 miles long with an elevation of 488 ft. During rainy or snowy weather, the trail is steep and slippery if you use the gravel path on your way down. Once you get to downhill before intersecting the fire road, you should take a right on the fire road which leads to the summit. You can feel free to ask rangers if you have any questions. You may find a little traffic since it’s not challenging hike. Overall, it’s a nice hike with a stunning, breathtaking view. Old Rag Mountain loop trail is about five hours from New Jersey located in northern Virginia. 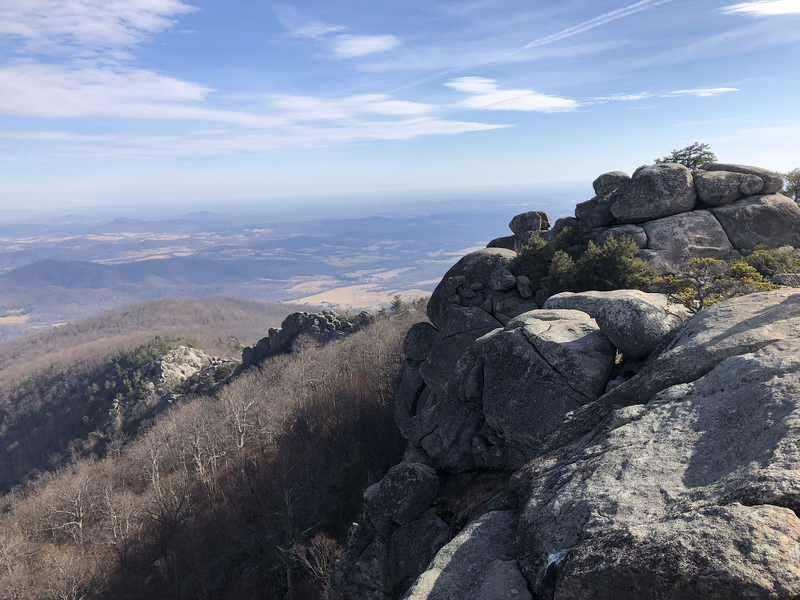 Old Rag trail is a loop, 9 miles long with an elevation of 2355 ft. Old Rag has a boulder scrambler section, which you may think is a real adventure. If you have acrophobia, a fear of height, then it might be little challenging, but this trip will help you to overcome your fears. Being fooled by false summits can be annoying, but eventually, you will get to the final summit. You should be prepared for ups and downs in temperature since it has a high elevation gain. The outcropping of rock is vast, and it requires some climbing and scrambling but it surely worth the effort. Alum Cave trail is about eleven hours from New Jersey located in Gatlinburg, Tennessee. Alum Cave is an out and back, 10.3 miles long with an elevation of 2824 ft. 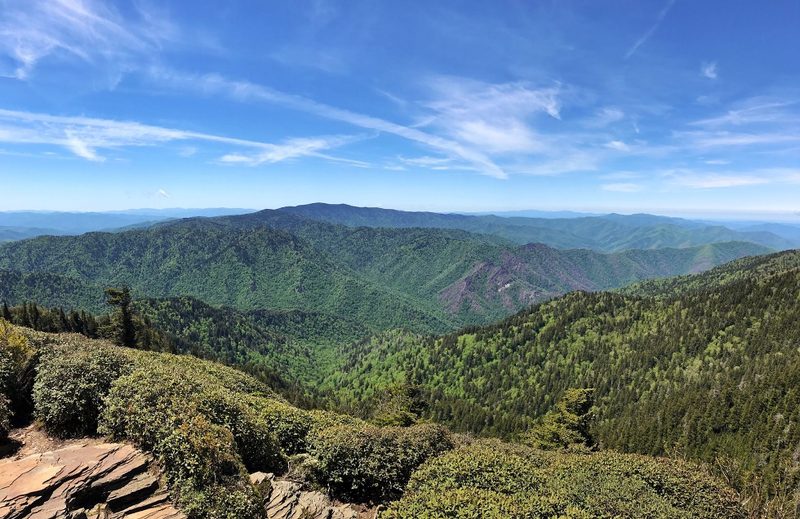 The Great Smoky Mountains is one of my favorite hiking places because it has a gorgeous overlook with rocks carved by air and water. Also, the trail has a stream next to it half of the time. If you are a new hiker, then you might consider taking enough break as needed and should keep yourself hydrated. It’s long and little steep but comfortably doable. This hike definitely worth all the effort, so you should check it out. These are just some of my particular recommendation of best hiking places on the east coast. You can also check out any other hikes you may like on the alltrails website, which is very convenient. By the time we have spring break, you'll enjoy adventures full of fun with friends. So why not hike a day? It might be challenging if you are a beginner, but these are tiny ones so you will get used to the feeling of it. I hope that you find this article helpful and have a safe trip! See you next week.